Another week, and another High 5 of stories that caught my eye. 2. Police can crack down on motorists who threaten the safety of bicyclists -- like this fella who pulled over a driver who was tailgating a bicyclist. 3. 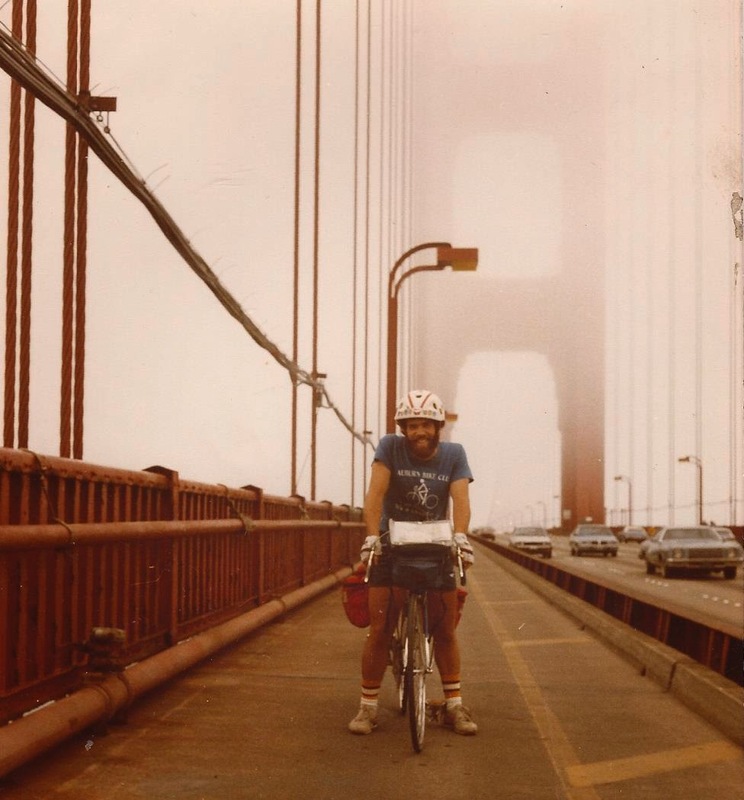 I don't post stories about bicyclists being killed by motorists to scare people from biking. I do it to remember the life behind the bicyclist, and this fatality was on Las Vegas Boulevard South. Here's a short profile of his life.. And, let's remember the lives of two RAGBRAI bicyclists who died in non-road situations this week. Famed frame builder Tom Teesdale was one of the RAGBRAI bicyclists who died, dying from a heart attack. 4. 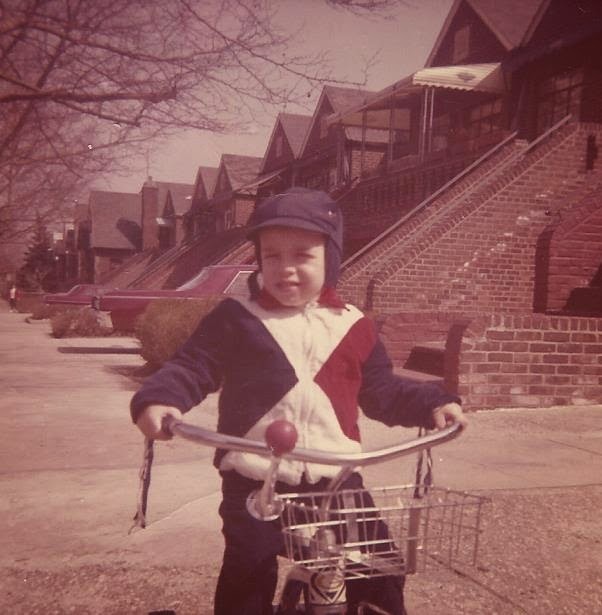 In fact, bicycling is life-affirming. 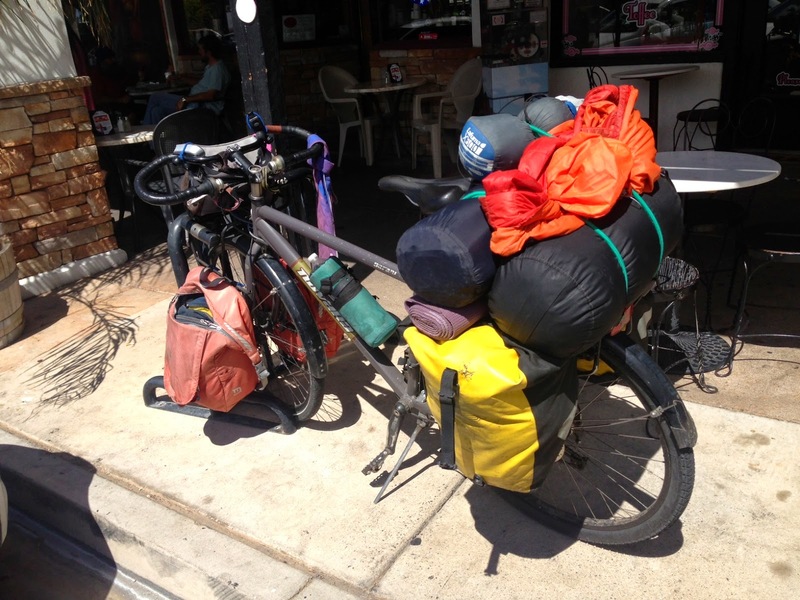 Consider a retired 71-year-old teacher who biked all 50 states on a recent trip. Bicycling, by its very nature of being an activity in a car-dominated country, tends to attract unique, independent-thinking folks. 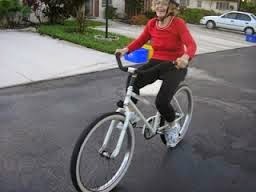 Like Beth "The BeFly" Geohagan, who does not own a multi-gear bicycle. Yet, she insists on biking hilly Red Rock Canyon. 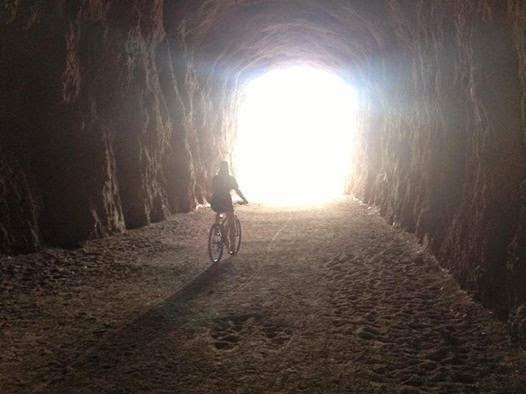 Several weeks ago during a visit, Beth pedaled a tank-like beach cruiser a good 500 feet from a shopping center in Summerlin to the Red Rock Canyon National Conservation Area visitor's center. But, she also wanted to ride the super-hilly scenic loop, which has severe uphill grades during the first five miles. So, on Saturday the BeFly used a multi-gear hybrid bike and not only easily biked to the visitors center, she pedaled the entire scenic drive. 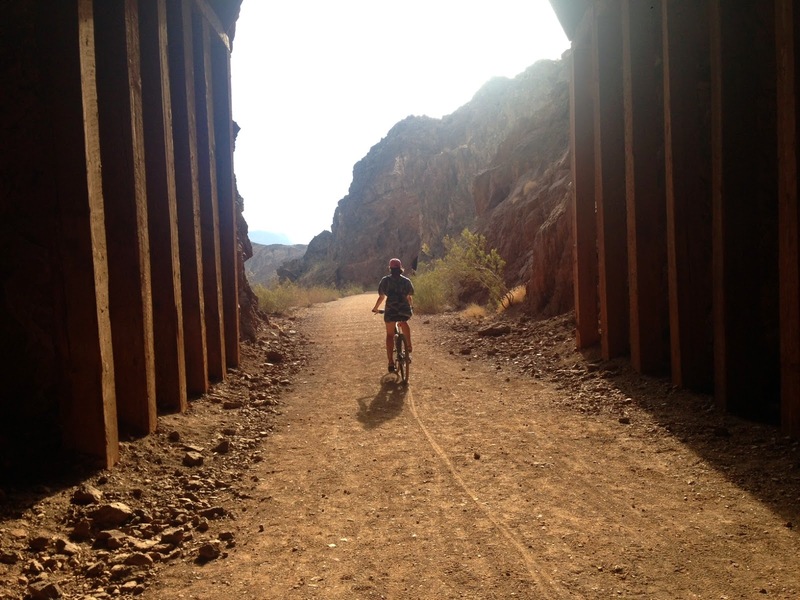 One of the great outdoor resources in the Las Vegas Valley is the historic railroad trail that links Lake Mead with Hoover Dam outside Boulder City. The amazing Beth "BeFly" Geohagan biked the trail and loved the views of Lake Mead from the trail, which runs along a perch of land overlooking the lake. 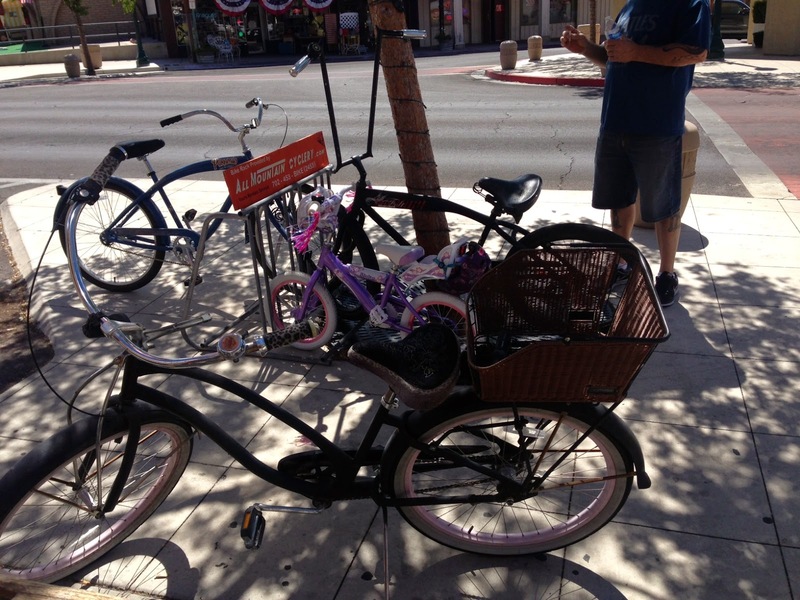 Then, it was off to Boulder City, where there was some fun bike life in the quaint little downtown. Check out this rig -- looks like a cross-country trip. The cruiser bikes were used on the main street to reach the Sunday morning breakfast nooks. 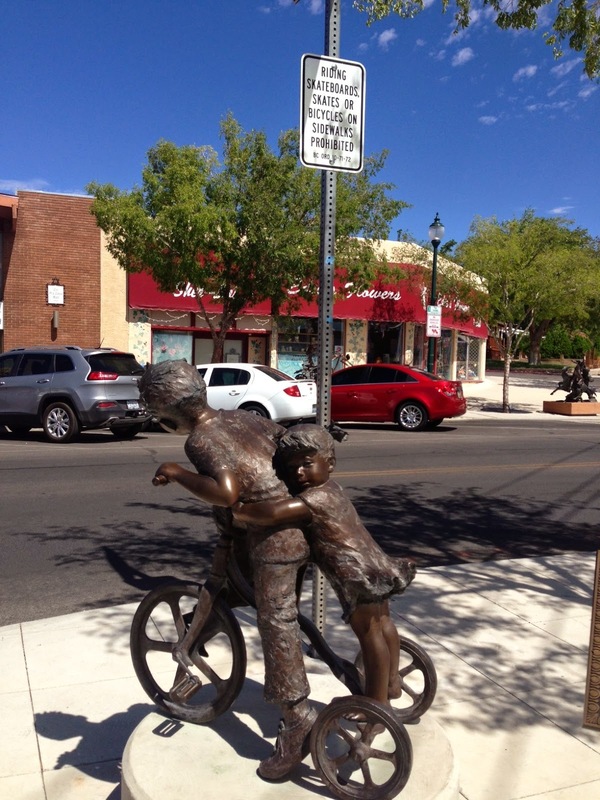 Always good for a laugh, the city sign saying no bikes on sidewalks looms above the artwork showing two kids on a small trike. This is what happens when I start the bike ride at 8:10 a.m. and not 5:45 a.m. Rode from Summerlin to Blue Diamond and back. Most cyclists were off the road by 10 am. Originally, I was going to ride another route and not visit Red Rock Canyon. Good thing I changed my mind. Now and then, I like to throw a change of pace into my Red Rock Canyon cycling routine by pedaling down to the Strip and then back to Summerlin via Alta Drive -- the magic road that goes from downtown to the Red Rock foothills. All uphill. It is off-limits to commercial vehicles like trucks and there's a bike lane with buffer pavement to the curb, so cars are not much of a problem. But first the Strip. I hit the world-famous boulevard at Mandalay Bay and Luxor by zipping down Hacienda Road from Durango. Hacienda is the only road that isn't one of the main roads like Flamingo, Tropicana or Sahara but that also spans I-15 to hit the Strip. Perfect bike road to reach the Strip. I biked through the heart of the Strip and headed for the Stratosphere. And then to downtown three miles past the Stratosphere to the East Fremont Street area. Then, it's off to Bonneville in downtown, which turns to Alta Drive and the ride home to the Red Rock foothills and Summerlin. When I cross Rancho, the neighborhood is filled with luxurious ranch houses and trees. to upper middle-class and rich as I head further west and west up Alta. I took Alta as far west as I could, biking up and up and up the foothill. Then a right turn, and more uphill to my highest elevation -- 3,600 feet, a 1,400-foot climb from the Strip and downtown. I have to say, not too impressed with what the builders are constructing on this high desert. Just doesn't seem right -- looks like man maims nature. 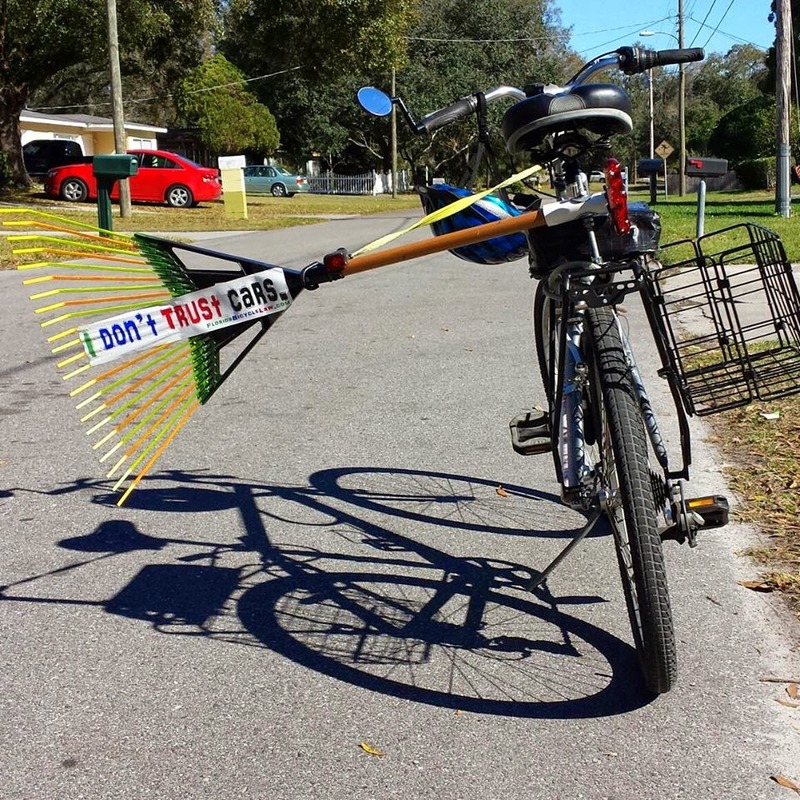 I first saw Robert Lorin Andrews' three-foot rake sticking out the side of his bicycle at the 2012 Bicycle Bash festival in downtown Tampa in early November 2012. I snapped a photo of that beauty then, and I was contacted by Robert today on Facebook as a new FB friend. Here is the photo Robert uses for his FB profile. 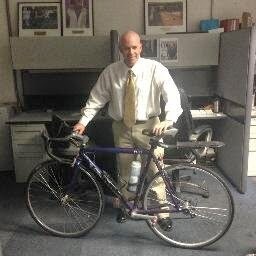 I asked Robert to offer an update on his rake strategy to keep cars away from his bicycle when he pedals in the Tampa area. Florida drivers like to pass bicyclists at full speed with just inches of clearance. Florida law requires 3 feet of clearance. When a car approaches a bicyclist, the bicyclist needs to communicate a life-saving message in two seconds or less to people who aren't paying attention and don't care. There's no time for words. An image needs to be displayed that is instantly recognized and instantly causes motorists to drive with increased caution. My rake is that image. I've used it for several years and it works very well. It's hard to find a more peaceful and satisfying road ride than cycling from my Summerlin place to Blue Diamond through Red Rock Canyon and back. It's about 29 miles of sloping hills, which I churn out in about two hours. In Blue Diamond this morning, several dozen bicyclists were taking a break at the small market. I saw this cargo bike in front of one house in the little hamlet. It's a mystery to me why more people don't explore Mt. Charleston. The mountain outside Vegas is a cool refuge in the summer. And it attracted me on the Fourth of July. It's a lovely 75 degrees at 8,000 feet. I biked from the Kyle Canyon Rd. side up and over to Lee Canyon Rd. So, early this morning on Independence Day, I hightail it down to downtown Las Vegas to run a 5K race put on by UFC. And here's the funny Bike Stories connection. Dana White, the funny, brash and omnipresent president of UFC, shows up wearing the number "1" bib minutes before the 8 a.m. run and is out there hoofing the 3.1 miles like all the other 350 weekend warriors in downtown. I was running at the same pace with Dana, who sees a guy riding a bicycle along the route. He cracks, "I want to pay $200 to that guy for his bicycle" so that he can finish the course. White trades high fives with runners and doles out his usual, "Hey bro," to anyone who said hi. He was out there wearing black shorts, a long-sleeved black shirt and a ball cap, looking like all us average Joes. Except that he just happens to be president of a MMA fight show promotion and media organization valued at $2 billion. RTC Responds To Bus Driver Nearly Striking Bicyclist on Las Vegas Blvd. Let me first apologize for the incident you described. As a leisure cyclist myself, I can understand why you are frustrated. I find this behavior completely unacceptable for any motorist, especially one of our operators. At the Regional Transportation Commission of Southern Nevada (RTC) we take safety seriously as we work to make all transportation modes safer and more convenient, including cycling and walking. We immediately brought this incident to our contractor’s attention for investigation. Appropriate action has been taken with the operator of this vehicle including one-on-one counseling and re-training, tailored to the root cause of the specific situation. As we contract our transit operations out to independent contractors, it is equally important that those contractors have ongoing training and education for their drivers, including bicycle and pedestrian safety. Our contractors provide specific training including outlining legal requirements under Nevada law; instructing drivers to provide a four-foot cushion and, if that is not available, to give bicyclists the entire lane; and holding bi-monthly safety meetings with bicycle and pedestrian awareness as regular topics. Again, I apologize for this incident and appreciate you bringing it to my attention as it helps make us better. First, the amazing Beth Geohagan pedaled a used, single-speed, foot-brake coaster bike from Summerlin up the sloping hill to the Red Rock Canyon Conservation Area visitor center on Saturday morning. It was a four-mile ride all uphill and an elevation gain of 400 feet or so. And to top that feat, Beth -- who owns a cruiser bicycle touring business in Lakeland, Fla. called BeFly Bike Tours -- decided to use her vehicular bicycling skills as a CyclingSavvy instructor and bike on Las Vegas Boulevard along the Strip on Sunday. Oh, we drew a few horn honks from nasty motorists who could not believe that people on bikes had the audacity to drive their vehicles in the traffic lane just like any other public right-of-way user. But it was regrettable that a RTC bus driver chose to buzz Beth by crossing the lane line while passing her by a mere foot, then cutting her off when the driver moved back into our traffic lane, forcing Beth to apply the brakes to avoid being hit by the bus. Here is the bus driven by the offending driver. It happened at 2 p.m. Sunday while we pedaled south. 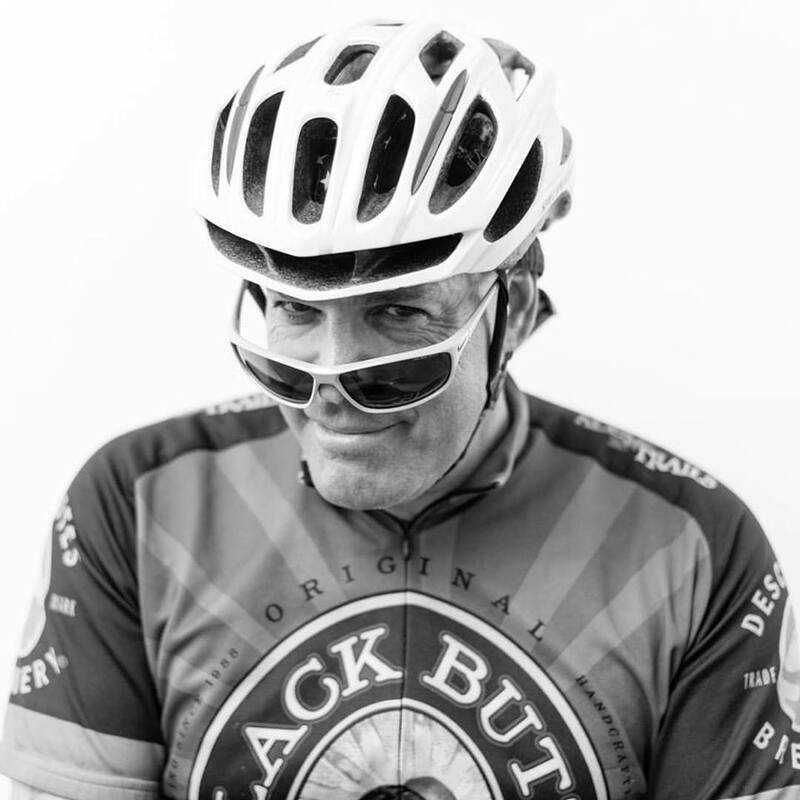 My name is Alan Snel and I am a bicyclist living in Las Vegas. I am writing to bring to your attention dangerous driving by an RTC bus driver in bus number 163 along Las Vegas Boulevard on Sunday afternoon at about 2 p.m. on June 29. My friend and I were bicycling in the right lane moving south near Circus Circus when a bus driver passing my friend crossed the lane line and came within a foot of striking her, obviously violating the three-foot buffer rule when passing a bicyclist. The bus driver then cut off my friend as the bus was maneuvered back into our lane, forcing my friend to apply the brakes to avoid being struck by the bus. 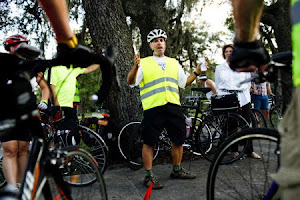 My friend is a certified instructor with a nationally-known bicycle safety program called CyclingSavvy. Her position in the lane was consistent with CyclingSavvy standards. It's regrettable that a bus driver employed by an agency charged with promoting alternative bicycle modes appeared to not accept the bicyclist in the road, to nearly hit her while passing her and then cut her off when returning to our lane. Bicyclist Michael MacDonald says he narrowly escaped crashing into the back of a Metro bus in Mid-City during his Monday morning commute. 1. What steps does RTC take to educate its bus drivers about passing bicyclists? 2. What action will the agency take regarding this driver's actions on June 29? I have attached a picture of the RTC bus that nearly hit the bicyclist Sunday. Happy one-year anniversary nearly to the day to Bob McCall and Keely Brooks, who were married during the Wednesday morning bike ride out of Las Vegas Cyclery last year. Bike shop owner Jared Fisher of Blue Diamond did the honors and married Bob and Keely on July 3, 2013 at the State Road 159 Red Rock Overlook as part of the Las Vegas Cyclery Wed morning ride. I had no idea that Jared was credentialed to marry people, but I guess when you're a bike shop owner you can do a lot of cool things. Especially when you're a cool guy like Jared. But check out Bob on Facebook and his main photo shows Jared serving as official bicycle nuptial man. Here's Bob biking this morning on today's Wednesday morning ride. Bob leads local bike rides as part of his touring business, showing guests the beauty of Red Rock Canyon and of cycling. Way to go Bob and Keely. Keep on riding!